We travel for pleasure and entertainment, sure. But we also travel to learn. I grew up in a rural area of the West Coast and didn’t travel much as a kid. I learned about history from school textbooks. It was a good foundation, but there is nothing, short of being there for the event itself, like seeing a historical site in person. 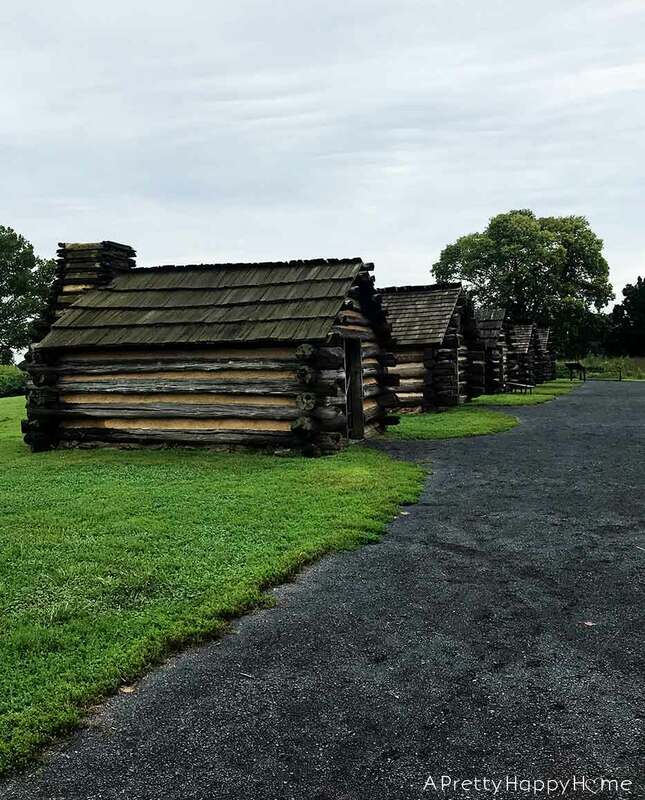 Last month we visited Valley Forge National Historic Park in Pennsylvania. It’s not far from our house and made a great day trip. 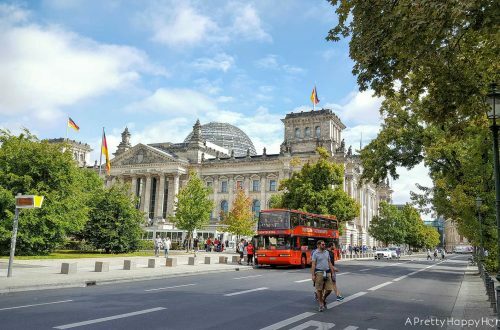 If you decide to go, here are some tips I picked up to help you plan your trip. WHAT IS VALLEY FORGE AND WHY IS IT IMPORTANT? Valley Forge is an extremely important site to the American Revolutionary War. It is where General George Washington’s Continental Army of 12,000 men encamped during the winter of 1777-78. While 2,000 men died that winter, Valley Forge is not the site of a battle. Most of those 2,000 men died from diseases such as influenza and typhoid. Historians believe the importance of Valley Forge lies in how the Continental Army transformed itself that winter. In essence, they used their time to train and to become a true, unified force. A force that was capable of defeating the British. The person responsible for turning that rag-tag team of citizens into a professional army was a Prussian named Friedrich Wilhelm Baron von Steuben. Learn more about the history of Valley Forge and what happened that winter here. Valley Forge National Historic Park is approximately 30 miles from the Philadelphia International Airport in King of Prussia, Pennsylvania. Don’t be surprised if the directions take you on some smaller residential-type roads. You’re going the right way! I’ve been to the suburbs of Philadelphia a few times and I always assume that since it is a big city we will zip on a freeway straight to our destination. This is also an old city, so that isn’t always the case. Google maps will get you there though! Just try and enjoy the meandering drive. 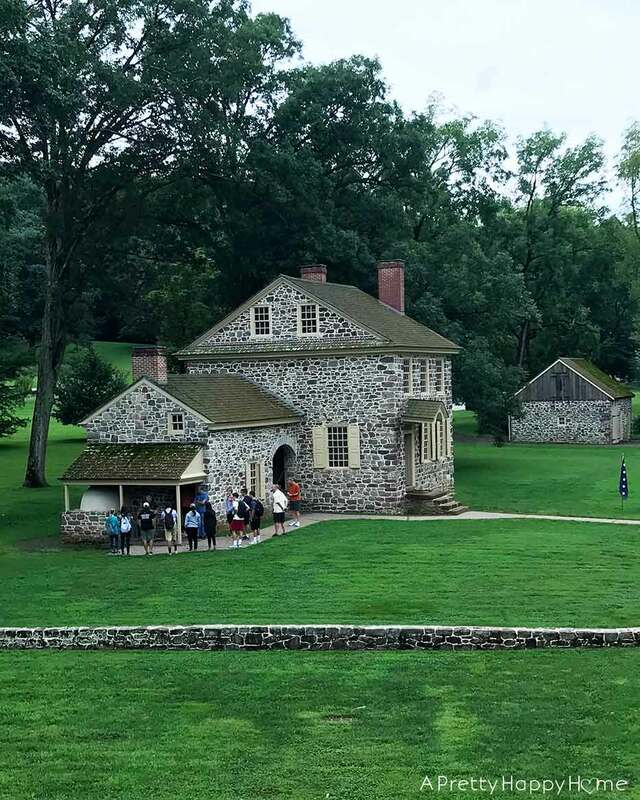 Valley Forge Park itself is open year-round and we spoke to many locals who were there just to enjoy the park’s 26-mile trail system. In fact, we were a bit jealous that they had this park resource in their proverbial backyard. The Visitor Center and other historic buildings in the park do close on Thanksgiving, Christmas and New Year’s Day. Admission to the entire park is FREE. Parking is free. Even if you had to pay a small admission fee, it would be totally worth it! Learn more about hours and admission information here. 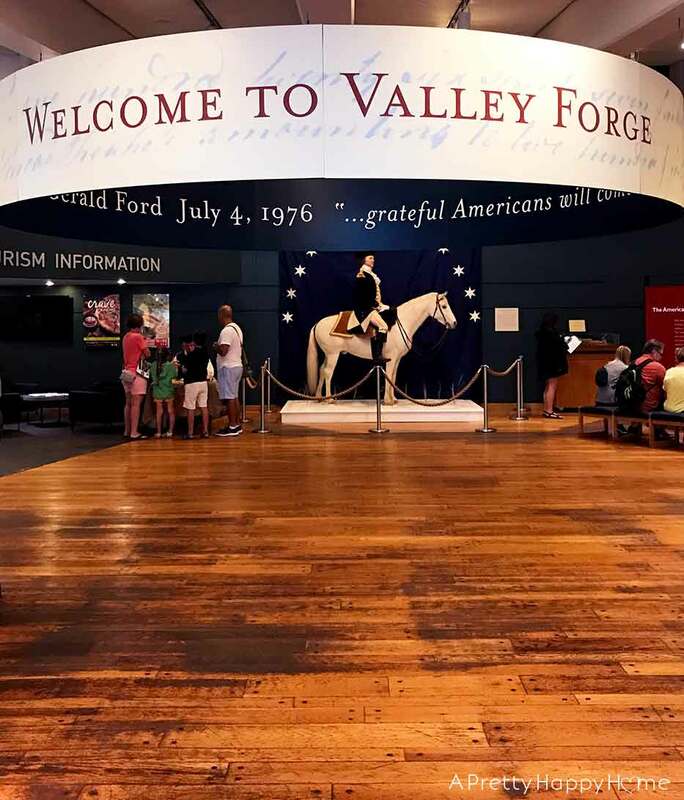 Valley Forge is a BIG place – 3,500 acres, in fact. Start your visit at the Visitor Center. By the way, you can set Google maps to take you directly to the Visitor Center and not just the general Valley Forge Park. The Visitor Center contains a small museum of sorts with a historic overview of the site, including artifacts excavated from the encampment. 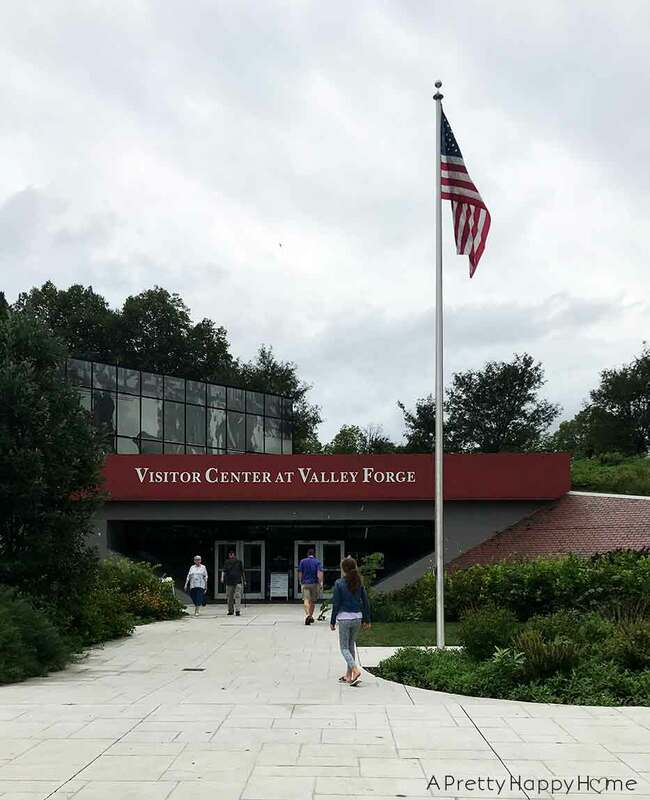 After you’ve toured the Visitor Center, do yourself a favor and ask the park rangers for a free map of Valley Forge. You need it. 3,500 acres, remember? If you’re traveling with children, the park rangers also have a free Junior Ranger Activity Book. If the kids complete the booklet, they can turn it in for a ranger badge. Now, back to the map. You need the map so you can take a self-guided tour of the encampment site. You can bike or drive the tour. The driving tour is approximately 10 miles long. If you visit on a nice day, I’d suggest renting bikes. It looked like so much fun. I believe there is a way to shortcut the bike tour so you aren’t biking 10 miles, but double-check first! We visited on a questionable weather day and chose to drive the park. If you are traveling with kids, don’t worry. You’ll be stopping 4 or 5 times and there are plenty of places for the kids to run, walk and otherwise expend energy. There are also guided trolley tours that take place seasonally. The trolley tour is fee-based and you can buy tickets in the Visitor Center. Muhlenberg Brigade was such a pleasant surprise! On this tour stop you will get to tour huts just like those the soldiers would have built for themselves. Local landowners tore down the original huts after the soldiers left in 1778 in order to return the soil to its original purpose – agriculture. These reproduction huts are set up with beds, clothing and utensils so you can get a glimpse of what life might have been like for the soldiers. On the day we visited, we were surprised to find a park ranger hanging out in one of the huts telling stories about life in the Continental Army. He had also lit a fire in the fireplace to demonstrate how “tolerable” these huts could be in the winter. Learn more about Muhlenberg Brigade here. The National Memorial Arch is an impressive, but also sobering memorial. It was dedicated in 1917 to commemorate and honor the soldiers who were encamped at Valley Forge. The arch fell into disrepair and was restored and made structurally sound in the late 1990s by the efforts of the Freemasons of Pennsylvania. 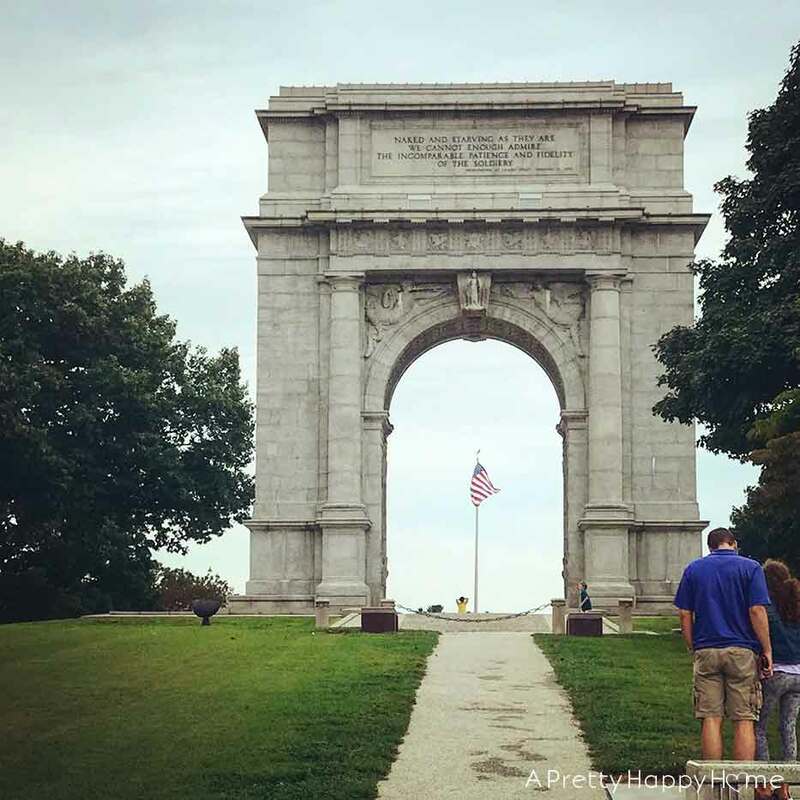 There is an inscription on the arch by Henry Armitt Brown who gave a speech at the 100-year anniversary of Valley Forge. His entire speech is archived online at the Library of Congress. It’s a lengthy read, but I was completely blown away by how relevant his words still are today. He talked about how America belongs to all people of all backgrounds. He talked about the generation who’s job it was to found the country and how the job of future generations is to preserve the country. Learn more about the arch here and here. We spent at least 30 minutes at the stop on the tour that included Washington’s Headquarters and Valley Forge Station. 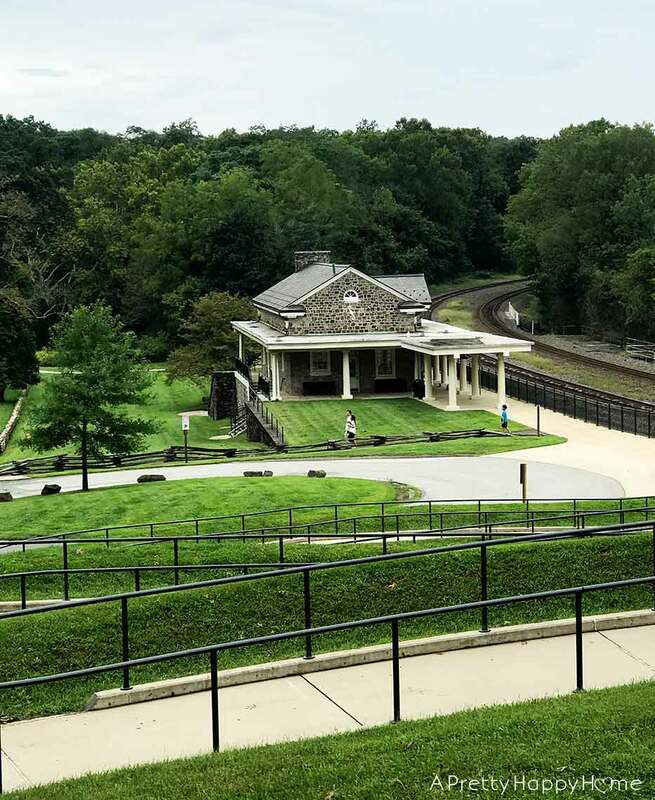 After you park, you will first visit Valley Forge Station, which is an old train station turned into a museum/visitor center. The station is a gorgeous building and inside is more information about General Washington and the time he spent at Valley Forge. On the Saturday we visited, there was a storyteller outside the station who was there to tell stories about army life and to answer questions about George Washington. It was a neat addition to the park experience. After you tour the station, you’ll walk outside and follow the path to Washington’s Headquarters. The headquarters is an actual home that was rented to George Washington to use as a place to live and work while he was at Valley Forge. You can tour the inside of the home. Make sure to hold the handrail when you go upstairs. It’s original! I thought it was a neat physical link between me and George Washington and several million other people. Behind Washington’s Headquarters are also the huts Washington’s personal guards stayed in. My son especially loved those because they were just his size. Learn more about Washington’s Headquarters here. The last place we stopped on our Valley Forge tour was Washington Memorial Chapel. Chapel was in session when we happened to stop, so we didn’t see inside the church sanctuary, but there was a bell tower that was quite interesting. The bell tower is home to the Justice Bell, which is a replica of the Liberty Bell. It was created to promote women’s suffrage and was on tour from 1915 – 1920. 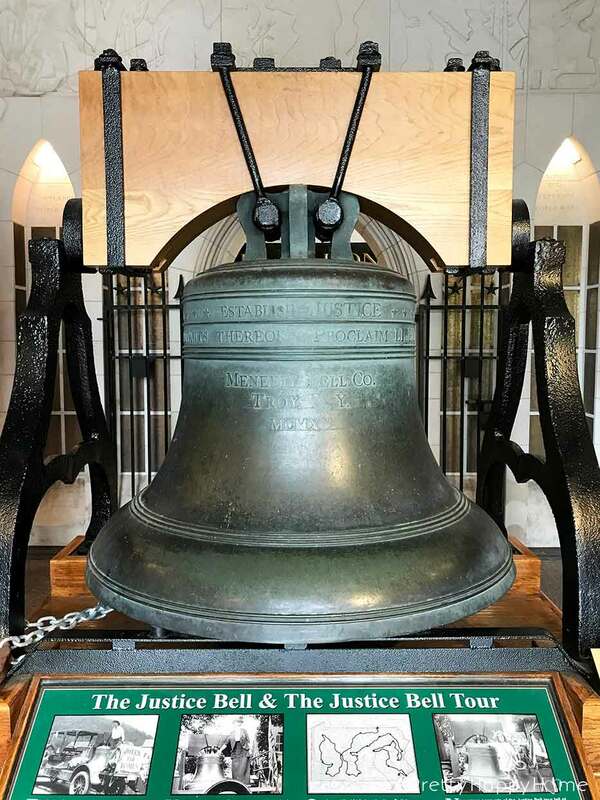 I did not know the Justice Bell existed, so I was thrilled to learn something new and to have an opportunity to impress upon my children that voting is a hard won right and not something we should take for granted. Also, you can buy ice cream at this stop! I don’t know if it is available year-round though. I should have asked! I feel like I’ve let you down now. Learn more about Washington Memorial Chapel here. Dogs are allowed in the park on a leash. 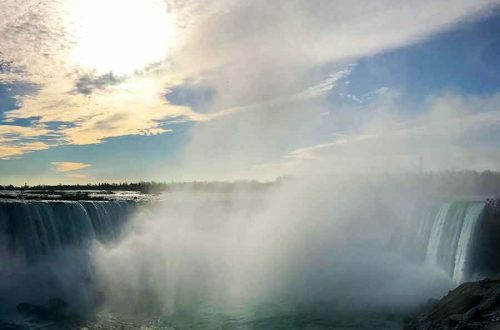 A full list of all the attractions in the park that are wheelchair accessible can be found here. There is no cafe on site, but there are a couple of places in the park to buy snacks. Valley Forge is a great place for a picnic. There are several sites with picnic tables located throughout the park. You could spend an hour at Valley Forge or all day. We brought our lunch and in total spent about 3 hours in the park. We moved pretty fast and did not stop and read every single little thing. I have wanted to visit Valley Forge since I read about it as a kid. No joke! This was not my children’s first visit to an American Revolutionary War site. They have also seen another one of Washington’s Headquarters in Morristown, NJ. They’ve been to West Point, which was an important strategic location in the Revolutionary War. All that to say, a lot of the information about Washington and the Continental Army was not new to them, so I was concerned that they were going to be bored or not appreciative of the historical magnitude of this place. Here’s the thing about kids. They are a sponge for information. They loved seeing the inside of the huts. They loved the guard houses. They liked holding an old musket. We learned what a redoubt was and saw an example of an earthen oven. We learned about our family’s connection to the Freemasons. Each of us came to Valley Forge with a different level of knowledge about the American Revolutionary War. We each left having gained something…knowledge, appreciation, shared family experiences. I hope you have a similar experience visiting Valley Forge National Historic Park. RESOURCES TO LEARN MORE: Here are some resources to learn more about Valley Forge and that era of history. I believe the books I listed were all available for sale at the Valley Forge Visitor Center Gift Shop too. Video Podcast for Kids: Available free on the National Park Service website or YouTube. I only watched half of the first episode, so I can’t vouch for all of them. My first impression is they are cheesy, but informative. I really enjoyed reading this blog. Seeing Valley Forge would be so interesting. I can see why your kids liked .I have always enjoyed stories about Valley Forge. So glad you are taking your children to all these interesting and educational places. I never mentioned this, but it was really beautiful there too!